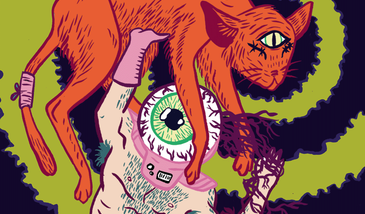 Just announced: Electric Eye Music Festival returns to Lethbridge from May 7 - 9, 2015 as an expanded three-day music and arts festival! We're psyched to help present the festival’s kickoff show on May 7, 2015, featuring Calgary's Chad VanGaalen and Viet Cong at the German Canadian Club of Lethbridge (902 6th St. N, Lethbridge). Want more? The full festival lineup also includes Sled Island faves Shooting Guns, Radiation Flowerz (formerly Powder Blue), Catholic Girls, DRI HIEV, Physical Copies, Snake River, Living Hour, Soft Serve, ANZU, Birch Barks and others to be announced. Limited advance tickets are available at EEMusicFest.com and Blue Print Entertainment (519 4th Ave. S, Lethbridge). Buy an Electric Eye Providence Pass for full festival access and you’ll be eligible to win a pair of Discovery Passes to Sled Island 2015! For complete details, visit EEMusicFest.com. Sled Island is thrilled to announce Godspeed You! 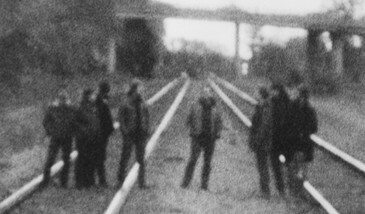 Black Emperor as the festival's guest curators for 2015. Each year, Sled Island's guest curator helps to set the direction and tone of the festival through specialized programming choices and with their presence at the festival. Godspeed You! Black Emperor is a band we've dreamed about seeing in Calgary for years, and we can't wait to see (and hear) what's in store for this year's festival with their thoughtful input. Since forming in 1994, the celebrated orchestral post-rock band have released four critically acclaimed albums and wowed audiences with stunning shows that blend wall-of-sound performances with captivating film projections. In addition to unleashing their top musical picks on the city, the band will be playing two very special shows at the Central United Church in what will be their first-ever appearances in Calgary. Excited? Festival passes are now on sale at a limited-time rate of 10% off!